The full moon casts it's light over a secluded Hawai'ian bay, revealing a pristine beach where the jungle comes right down to meet the shoreline. A good evening for some night surfing. The green room is a surfing term that describes the hollow space created on the face of a wave as it pitches over. It is a room with flowing walls of living water. A place where the light changes, sound is different and time narrows into the present moment. It is the place to be. The golden hour is that time near the end of the day when everything is lit up with a golden hue. 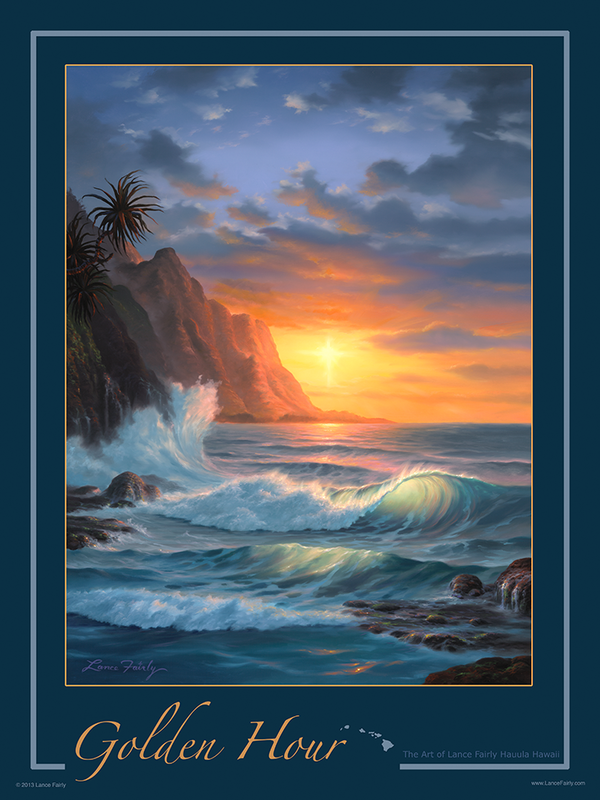 A special time to be in the water enjoying all of the colorful reflections created by a beautiful Hawai'ian sunset.